TREI member, Lee Jae Jun Releases powerful concept photos! 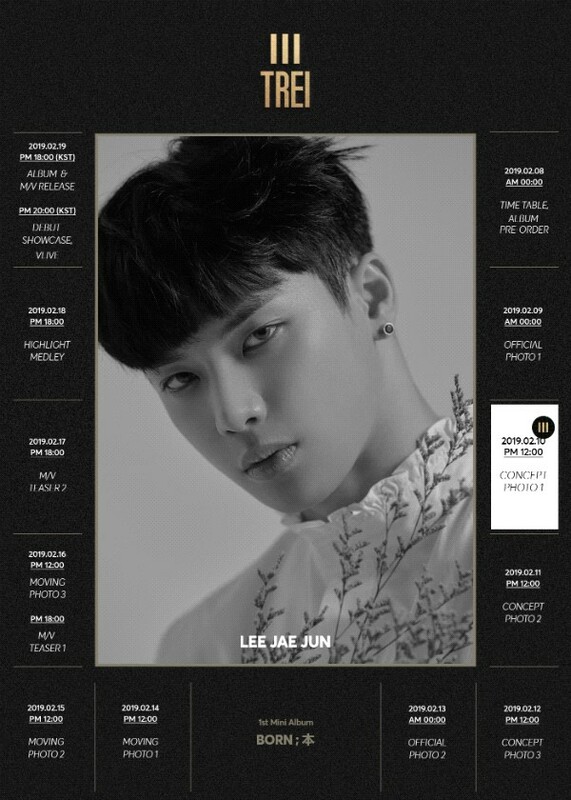 The new trio boy group TREI's leader, Lee Jae Jun released the concept photo through the official SNS on the 10th noon. Lee Jae Jun has doubled the chic mood and charisma through the black and white effect of the photo which he stares straight forward with strong eyes. Especially, the deep eyes of Lee Jae Jun added mysticism and it was enough to raise the expectation towards their debut album 'BORN ; 本.'. TREI is a new trio group consists of 'Lee Jae Jun, Chae Chang Hyun, and Kim Jun Tae', which is receiving attention of the public by showing their ability as singer song writer such as lyrics, composition, and producing, and will start full fledged activities with the debut showcase on the 19th.